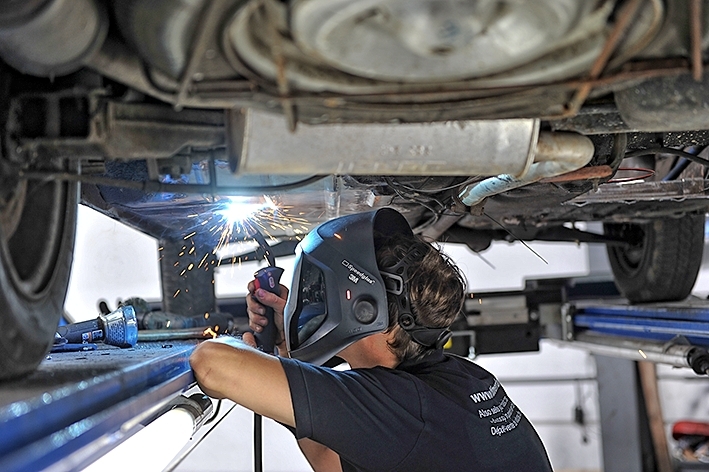 Due to our continuous effort, since 2003, to provide customers with the best possible service in the context of the sale and, by extension, the delivery of cars, we have built up valuable expertise in repairs and maintenance. This know-how is made available to a select customer group as ‘mechanic’ service. We do not only take care of your car correctly, we also apply recent techniques to the cars in their current state. You can call on us for lubrication with the right oils, greases, lead substitutes and coolants, while we are also your partner for all other repairs, both mechanical and bodywork.